A Doncaster pub which closed after a fatal shooting is due to re-open this week. The Maple Tree on the Woodfield Plantation estate in Balby has been closed since 21-year-old Tom Bell was shot there on Thursday, January 17. 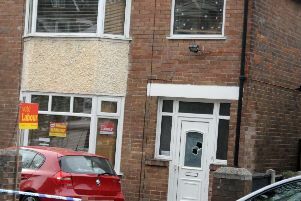 The popular Doncaster boxer was shot in his chest and abdomen when a gun was fired through the pub windows. He was treated at the scene and rushed to hospital but was unable to be saved. Four arrests have been made over the shooting so far, with two men charged. Joseph Bennia, 28, of Balby, Doncaster, and Scott Geoffrey Gocoul, 29, of Bilton, East Riding of Yorkshire, have both been charged with murder and are remanded in custody. A 37-year-old man and a 21-year-old woman who were arrested on suspicion of assisting an offender have been released pending further enquiries. The Maple Tree will re-open on Wednesday, January 30, with food and drinks served from noon until 6pm. The pub will trade from noon until 8pm on Thursday and from noon until 9.30pm on Friday, Saturday and Sunday this week. In Facebook post, the pub management said: “We the team at the Maple Tree would like to thank all our customers and friends for their messages of support at this difficult time.